Sure, sneakers and sweatpants are pretty great. But when was the last time you went all out? We’re here to tell you: looking fancy is fun. Here’s how to do it now. PHOTOGRAPHY PAUL SCALA. STYLING MARK VASSALLO. MODEL GERON MCKINLEY AT WRENN MANAGEMENT. HAIR JOHNNIE BILES AT D+V MANAGEMENT. MAKEUP HUGO VILLARD AT AIRPORT AGENCY. So it’s smart enough for a suit, but you don’t want to wear a tie. We say a graphic, high-impact shirt will do the job. Look to Valentino or Kenzo as a good starting point. Above: blazer by Givenchy from Browns, shirt by Valentino from Tiziana Fausti, and trousers by PS by Paul Smith from Stefania Mode. 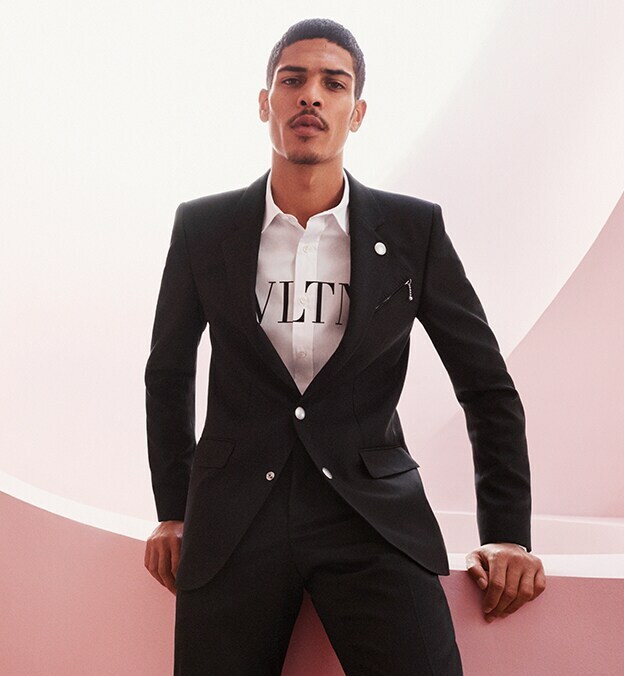 What’s new in suiting? 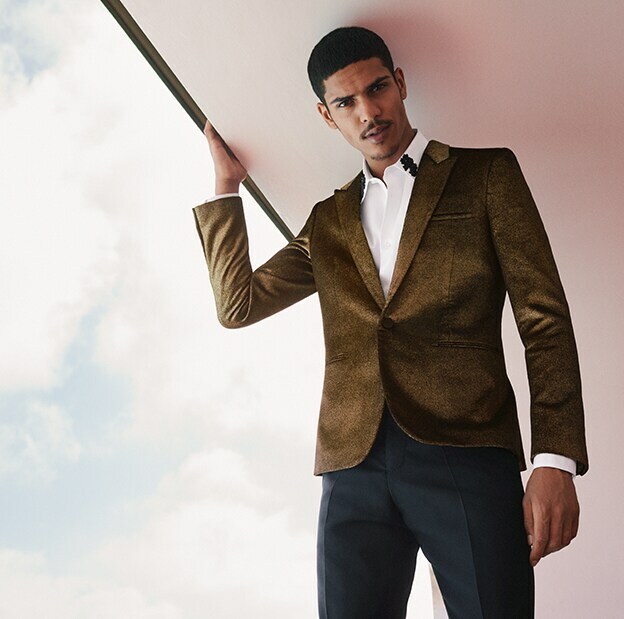 A precise, strong-shouldered jacket with slim lapels. Best worn with contrasting trousers. Above: blazer by Dsquared2, shirt by Alexander Mcqueen from Vitkac, and trousers by Stella McCartney from Spazio Pritelli. This fabric is subtler than print, but just as eye-catching. A little bit retro? Sure. But who’s complaining? Above: jacket by Dolce & Gabbana from Tiziana Fausti, T-shirt by Saint Laurent, and trousers by Neil Barrett. When it comes to watches, We’d advise restraint: don’t go blingy. A rubber-strap chronograph should strike the right note. Above: shirt by Calvin Klein 205W39NYC from Browns, and watch by Uniform Wares.